We ask ourselves, our youth, our elders, our trainers- who do we dare to be if we didn’t have to fight all the time to simply survive? What would it look like, what would it take- to truly live, to truly believe that Black joy can exist for more than glimpses at a time? Enlace is powered by visionary young people who bring fearless honesty, love, and strategy into our movement spaces. 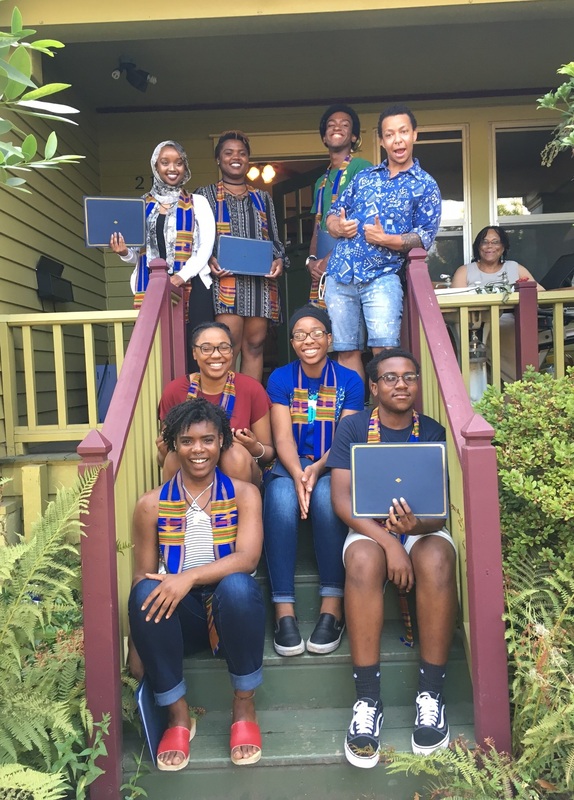 One of these young leaders is Lanija Harris, who grew up in Portland, Oregon, and has participated for two years in Umoja Kijana Shujaa, an Enlace Institute program for Black liberation through youth leadership. 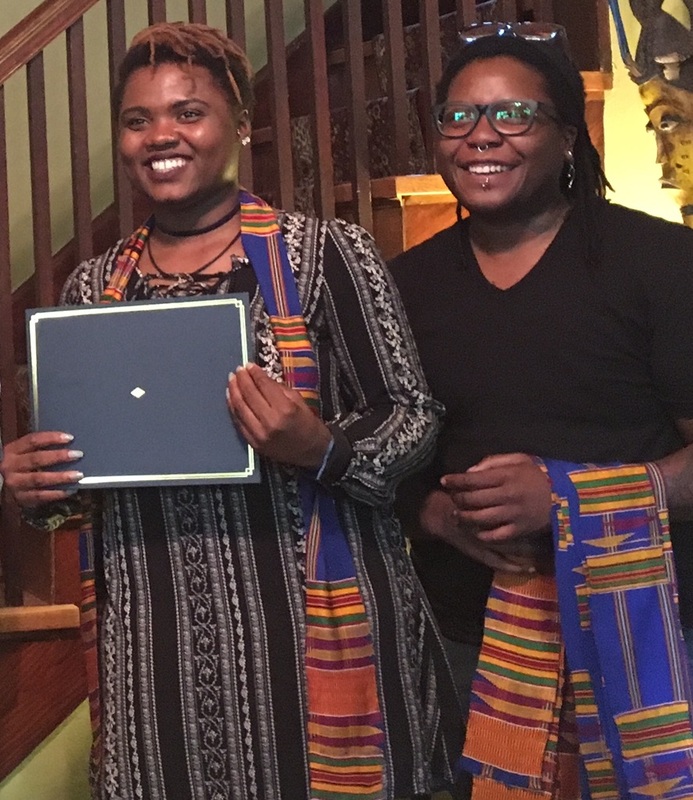 In this interview, Lanija talks about growing up as a Black woman in Portland, Black liberation, her dreams for herself and the future, and what her participation as a facilitator and participant in Umoja Kijana Shujaa has meant to her. Enlace: Thanks for meeting with me today. Introduce yourself in whatever way feels comfortable. Lanija: My name is Lanija. 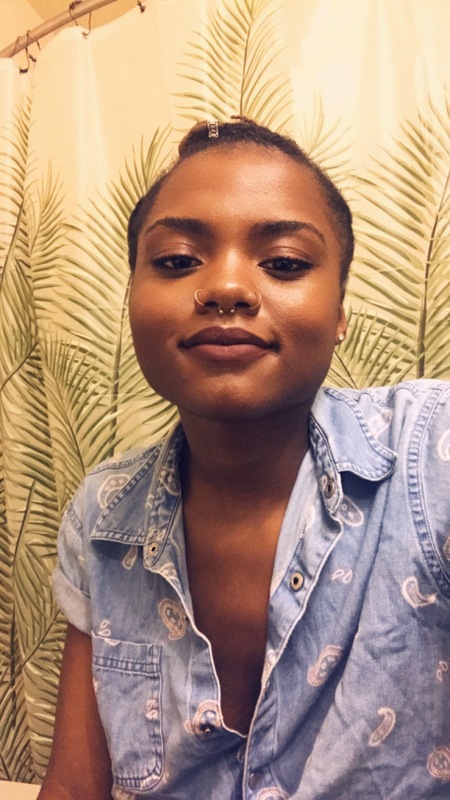 I am a Black woman, a youth in Portland, Oregon and I am deciding to find a platform for myself to get my story out there and for other people to hear it. Last year, right before I went to college, after graduating high school, I was lost mentally. Living in Portland is hard, especially in the outer suburbs. In the Beaverton area there are no Black people. I’ve been through a lot of trauma that is taking healing as far as being a Black woman in Oregon. I experienced lots of prison visits growing up. My mother was in prison when I was in middle school. I’ve seen my father tased and taken down to the ground. I’ve seen my sister tackled by police. She gets called the n word at her school, she’s had broken glass thrown at her. I’ve seen my sister having to transfer schools because of racism. I’ve been suspended strictly for the fact of my skin color. My sister is currently in jail right now. It’s just a whole lot of injustice. It gets me really riled up because I’ve experienced it firsthand and I’m not a new case. Imagine what the next Black girl or Black male is feeling because they’re probably experiencing the same thing. Who else has experienced this? Now the injustice includes immigrants in detention centers, they have more kids detained than they’ve ever had. It’s a complete and utter mess. In my lifetime I haven’t experienced that firsthand drama as tremendous I am experiencing it now, in Trump’s America. It makes me wish for a button I can press to erase it all. There’s so much work that needs to be done and I’m willing to take on that work. 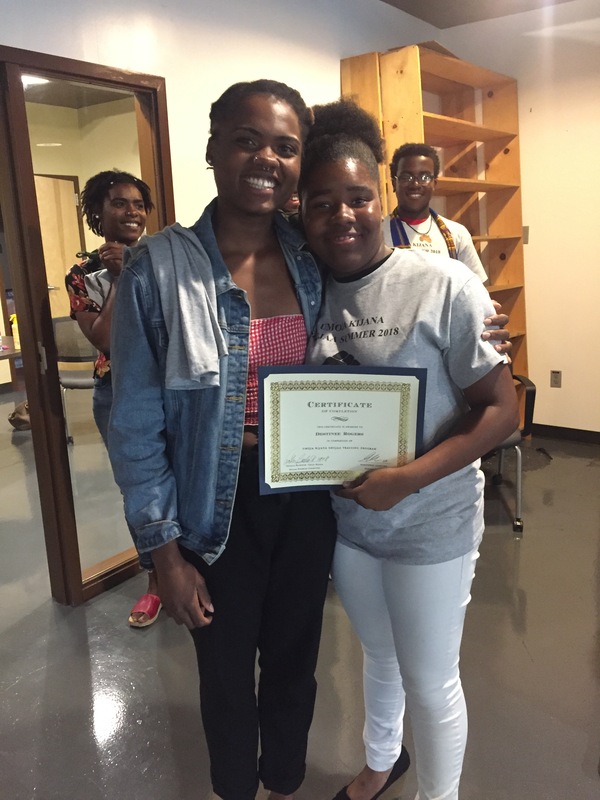 E: What did it mean to you to participate in Umoja first as a participant and then as a trainer? L: All of this is like a burden on my back, but Umoja and Enlace is helping me to heal. I had never experienced a crowd of Black people that wasn’t family, all at once. I met new people who had similar goals and who wanted to change the way Black people are treated in America, just with simple things like lessons, teachings, speakers and learning new things. Being part of Umoja was like taking off 5 pounds off of my 50 pound burden. I was accepted into Umoja with my sister, which was helpful with the healing process. Everyone deserves a support system- even the worst people in this world deserve someone. I was able to get this support system with Umoja and with my sister joining me. The burden got lighter because I had someone to look to, I had a group of people to look to. After Umoja, I started seeing myself differently. I started seeing that I had that opportunity to help and talk to people, because before I didn’t really know that I had it in me. Before there was no way I was just going to talk to someone because they needed to hear my words. But now it’s like OK you need to hear my words and you’re going to hear them! I’m really glad Umoja gave me that platform because now that I have it I’m not afraid to talk to anybody and say anything to anyone. 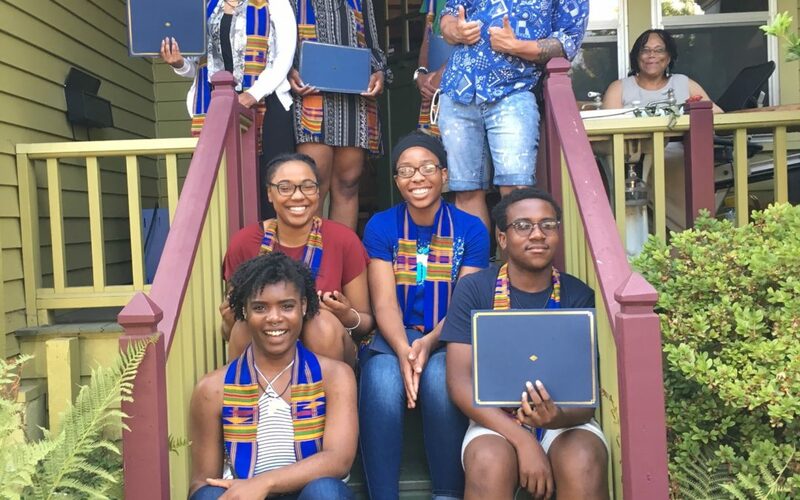 E: How has being in Umoja helped to connect you with Black liberation? L: Since i’ve been in Umoja, I’ve seen Black liberation in the way that we carry ourselves. One participant from last year was telling me about how she always wore wigs and she didn’t like her natural hair. I remember locking my hair the first year and feeling like “wow this is pretty great!” At first, I didn’t think i could keep them up, but now I’m like “I can keep this up because we know how to keep our hair up! I’m going to do it!” Being in Umoja this year especially made me so proud of my locs! It made me feel like “OK I did it! I actually did it!” It was a tremendous first year. Black liberation is in the way I carry myself, the way I’m not afraid to tell you that I’m Black and I’m proud of that, the way that I am telling everyone that I’m not going to just shut up when you want me to. I’m actually going to talk louder and I’m gonna talk even more. It’s also helped me realize that a lot of black people are suffering, and it’s helped me question why they’re suffering and how I can help ease the suffering and help ease the burden. To go hand in hand with someone else so they feel the same liberation as I’ve been feeling. But it’s not a “one and I’ll be done,” it’s about progress and is gonna take time. E: What’s the vision that inspires you to keep going? L: Without the burden of wages, without the burden of patriarchy or the government, I envision some type of happiness being possible for us. Happiness has always seemed so far out of reach. I envision for my people whether that be all people of color, whether that be trans women, trans men, whether that be queer folk- I envision happiness, I envision that we will all be found one day and we will all have a purpose. We’ll get there one day I think. E: What is the most important action non-Black people can take to unpack anti-blackness and misogynoir? L: Non-Black people don’t know how it is to be Black, but they can try to understand. They can vote, they can put funding towards what Black people need, they can use their tools. They can use their privilege to end everything that’s happening, yet they haven’t. 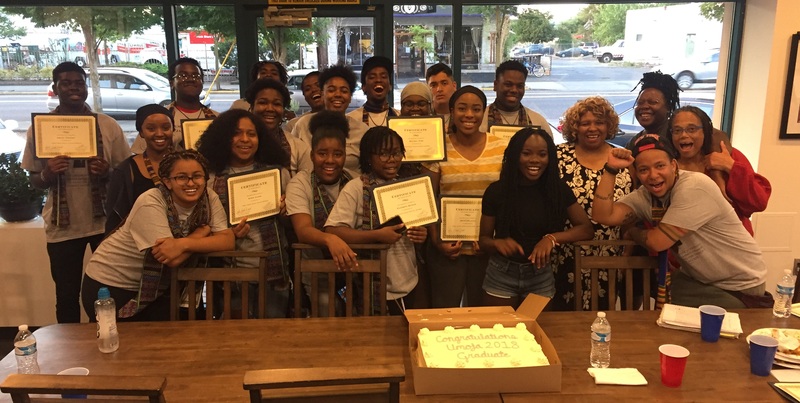 It’s like day and night- you have to realize that you can change something that’s impacting a whole community of people just by using your words, using your funding, using what you have. A lot of people try to shut me up, so since no one is trying to shut you up- speak louder on behalf of us. You have the tools- I just think you need to use them. E: Is there any words you wanted to leave off on? L: I’m really glad that Enlace has given me a little bit of joy, in knowing that we’re not alone. Enlace is out there and I want to get out there too. I got an invitation to speak at a climate justice rally for the Oregon Just Transition Alliance. When people were sitting down, listening to me and I was just like “oh no you messed up! You about to listen to me! I’m about to yell!” (laughing). Afterwards, people were coming up to for an interview, somebody asked about donating and I was like OK! So I actually have a little bit of power to do something? I’m gonna see what I can do with that little bit of power that I do have.